OVERVIEW: Interact with wildlife biologists and conservationists, track lions in the African night, observe cheetah, zebra, elephant, giraffe. Spend a morning with baboons in the wild. Stay at a research center and a private camp on a river bordering the Maasai Mara. With our own vehicles, guides, drivers, cooks and camp staff, our plans are custom and flexible. Our food is prepared fresh for each meal, and nothing compares to breakfast in the early African morning, or supper around a roaring campfire. 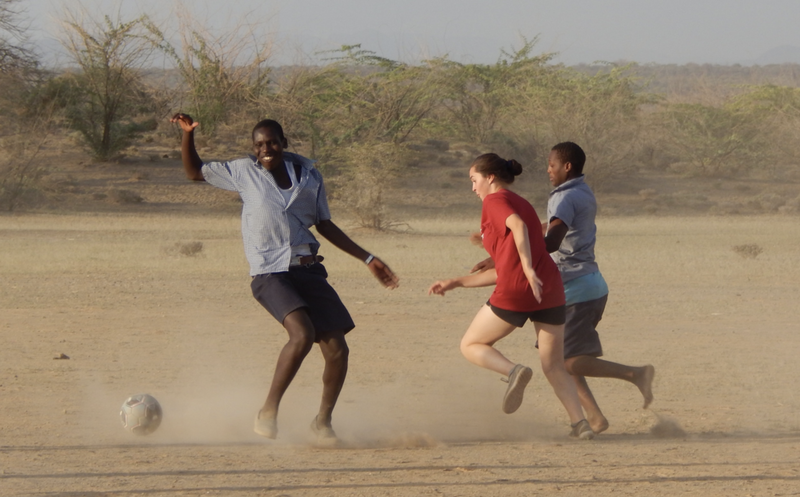 Visit schools and villages, exchange ideas on culture and conservation, create music and dance, and play a farewell soccer match in the red dust of the African savanna. ﻿TOPICS: Community-based conservation, Maasai culture, music and dance, lion research, baboon research, predator/prey studies, African savanna wildlife, tectonic and volcanic geology. TUITION INCLUDES: international airfare from CLE, transfers, taxes and fees, accommodations, meals, transportation, camp sites, national park fees, conservation program fees, tips, guides, drivers, vehicles, camp staff, camp gear, baboon walk, lion tracking, and all trip activities. ADDITIONAL COSTS: Required trip insurance (about $100), souvenirs & personal items, food at airports, and any needed medicines or vaccinations (consult your doctor). Below you will find the basic schedule for our program. To the left, each day is listed with locations & activities. ALL of the photos on our site are from our programs, so they show what you will experience when you join our TEAM Adventure to Kenya! 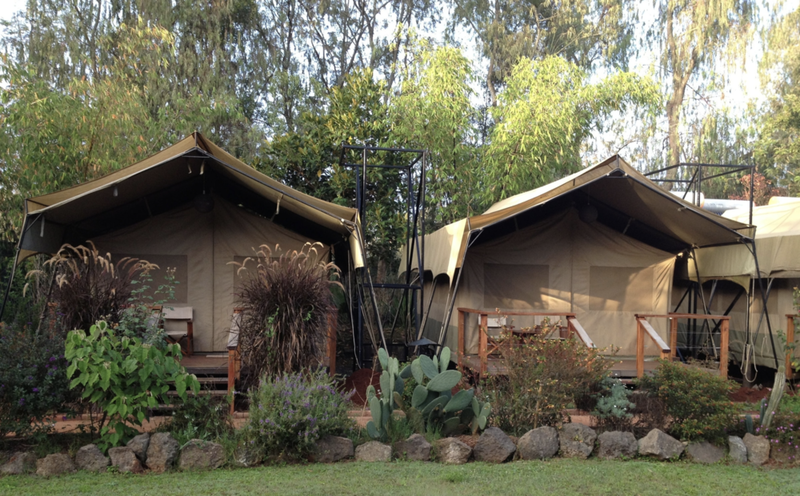 Wildebeest Eco Camp features beautifully appointed safari tents hidden among tropical gardens. Homemade meals are served family style on a large deck. Includes free WIFI and snack bar. 24 hour security is provided by the camp. Walk with community game scouts, learning to identify animal tracks. 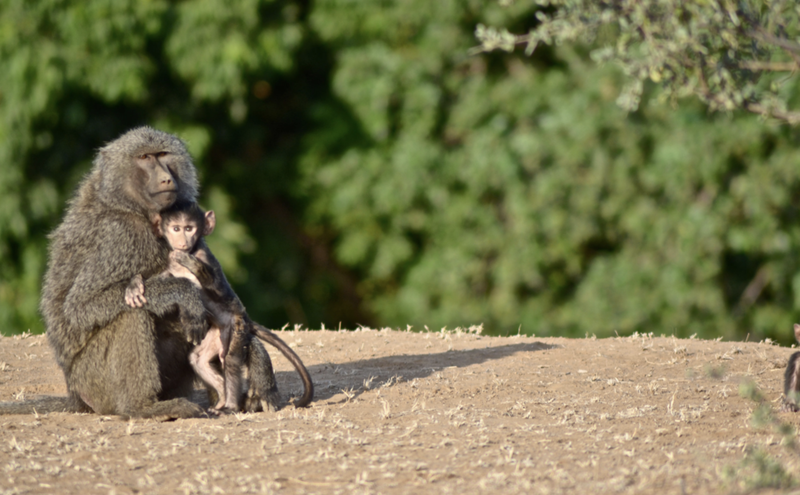 Observe baboons and collect data with researchers. Set up tracking cameras to observe wildlife movement. Visit Olkiramatian Primary School. Create music and learn traditional Maasai song and dance. Play soccer in the savanna. Converse, share and exchange ideas. Make new friends. Enjoy meals and conversation with world-class scientists and Maasai tribal members. Sip Daniel’s chocolate-Kenyan coffee creation on a chilly Kenyan morning. Shower with heated bucket showers that open up to the magnificent Kenyan sky. Reflect and bond over evening campfires. 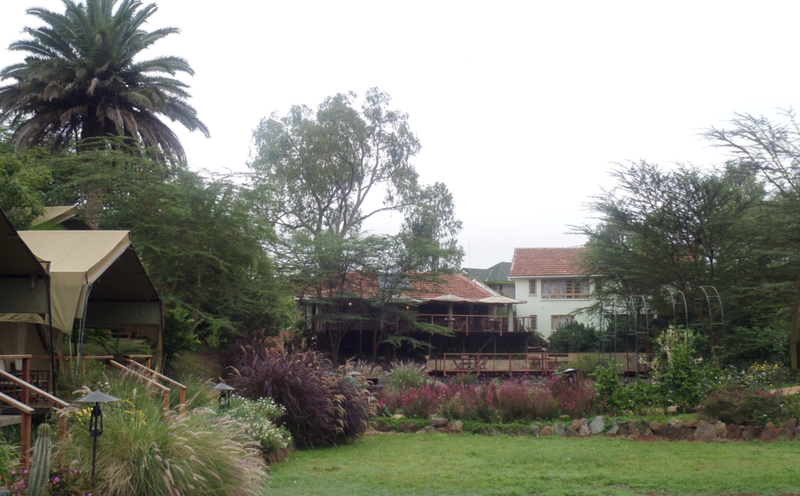 We will have breakfast at Lale’enok before heading off to the Maasai Mara! Our drive will include a scenic stop to take pictures of the majestic Great Rift Valley and shop for some souvenirs. We will also stop at the surreal Lake Magadi, a crusty pink soda lake with flamingos. Our camp in Maasai Mara is literally on the elevated banks of a river bordering the Maasai Mara National Reserve. In the past, we have seen elephants, wildebeest, zebra, giraffe, warthogs, and even crocodiles, right from camp! As usual, our evening meal will be prepared by our private cooks and enjoyed fireside. Keep your eyes on your desserts, though, as the vervet monkeys like to help themselves! 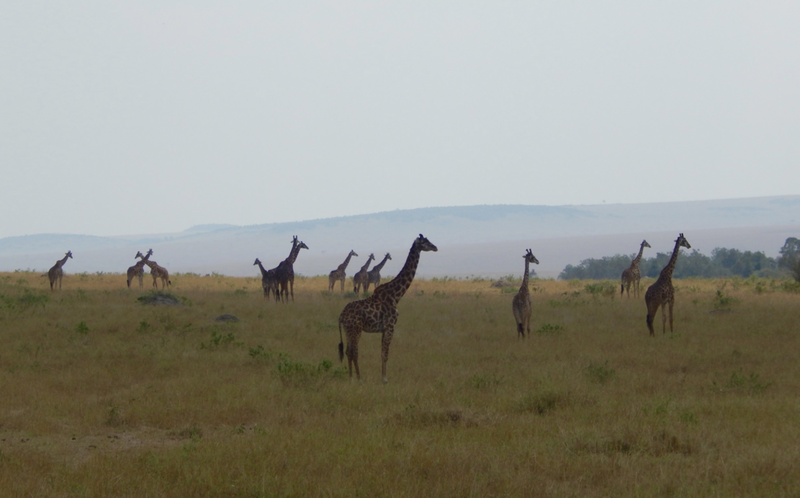 Our time in the Mara will be spent on two incredible game drives. We will explore the entire Reserve in our private 4X4 vehicles, with the tops open to get us close to the wildlife. 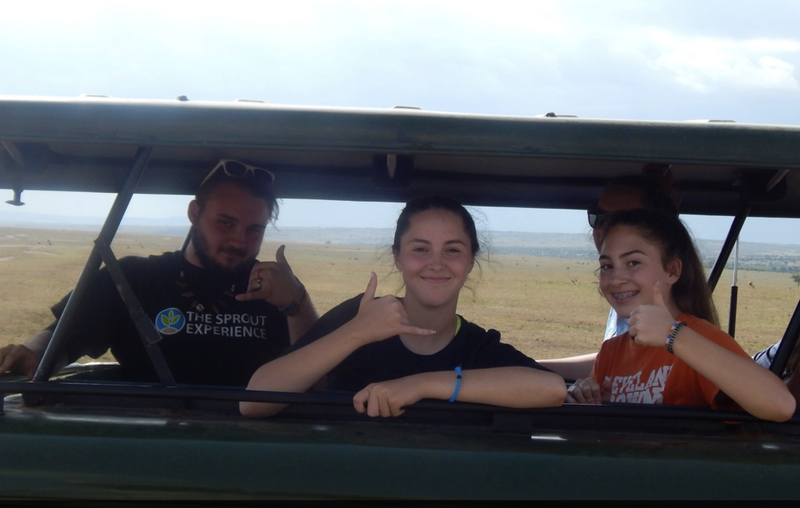 Our guides and drivers are the BEST in Kenya. Today will be our first full-day game drive. Maasai Mara National Reserve is one of Africa’s most diverse ecosystems, home to Africa’s big five: elephant, leopard, buffalo, and rhinoceros. It has the great wildebeest migration, hippo, giraffe, zebra, gazelle, hyena, ostrich, warthog, cheetah and countless bird species. Return to The Wildebeest Eco Camp in Nairobi to freshen up and rejuvenate before heading to the airport for our flight home. Day 12 - Arrive home! Fly home to your family! In the Maasai language, Lale’enok translates to “place where information is brought and shared.” The time we spend there is the heart of our Kenya experience. Owned by the Olkirimatian Reto Women’s Group and managed with SORALO (South Rift Association of Landowners) in collaboration with ACC (African Conservation Centre), Lale’enok shares a unique partnership with the Sprout Experience. This collaboration brings community scouts, scientists, conservationists and students together for education and wildlife conservation.